Are you new to Portland or new to cruising around the city by bike? Bike Portland, ORbike.com and Filmed by Bike welcome you! We are so thrilled to have you, another bike lover, in Portland! Portland is an amazing place to live in large part because of our incredible biking scene. Every day of the week you can see hoards of cyclists streaming across the bridges, rain or shine, day and night. On all types of bikes. Bike Love? We Get it. In our city it’s completely commonplace to ride your bike to work, for fun, to go camping, to get the kids to school, with cargo, in the rain, with dogs, for days on end and simply to explore and sink in. Whether you’re new to riding, experienced or something in between, Portland welcomes you to join in on the bike fun! 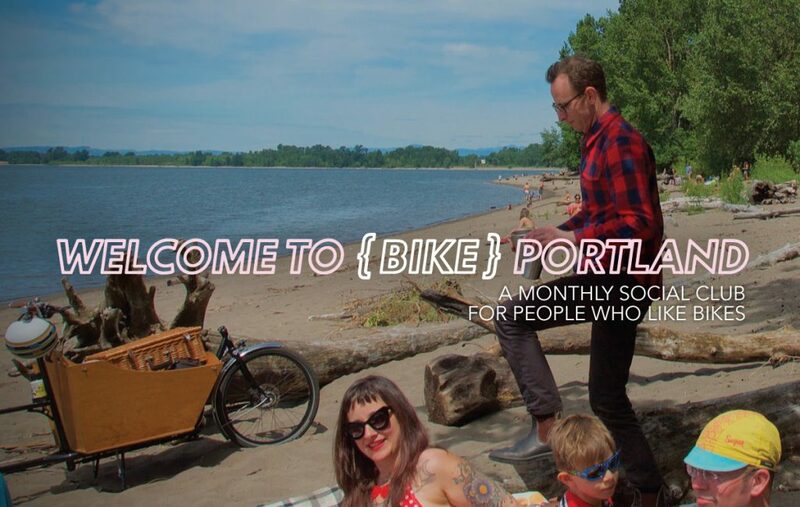 Join our special Welcome to (Bike) Portland social club below to receive special updates on happenings geared toward new riders and those who are quickly falling in love with this bike loving mecca. Welcome to the (Social) Club! Your email address will be shared with Filmed by Bike and ORbike so we can help you find cool events and info. Your email address will never be sold or traded. We will not flood you with messages. Join the email list for an announcement when we launch the 2019 ride series! Filmed by Bike is launching a new series of intimate backyard movie screenings of rare gems from our deep archives of bike movies. The series will run in September and October. These ticketed events under the night sky will be limited to only a handful of attendees for a special experience, with Festival Director Ayleen Crotty in attendance to share insight into the wonders of the films and the talent of the filmmakers behind the creations. Meghan Sinnott’s guides to her favorite places in each quadrant.